Is your child excessively afraid of certain things such as dogs, the dark, costume characters, or spiders? Do they get very upset, cry, or cling to you when they are confronted with their fear? Does your child avoid going to certain places because of this fear? Your child may be experiencing a specific phobia (SP) and Griffith University can help. A research team at Griffith University is offering free assessment and treatment program for children ages 3 to 5 years with a specific phobia. 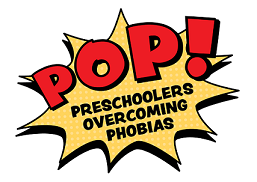 After an initial assessment, eligible children will take part in the Preschoolers Overcoming Phobias (POP) Treatment Program. This program, held at Griffith University, aims to reduce levels of anxiety and phobia symptoms in children. For further information call (07) 5678 8317 or email pop-gc@griffith.edu.au.